Update, January 22: More details about Metal Gear Survive’s microtransactions have been confirmed in an interview with the game’s producer. Metal Gear Survive will not have lootboxes. While Konami’s upcoming survival game does have microtransactions, producer Yuji Korekado says it will not be pay-to-win. Metal Gear Survive wants you to play with friends, or die. Original story, January 22:Metal Gear Survive is always online and contains microtransactions. 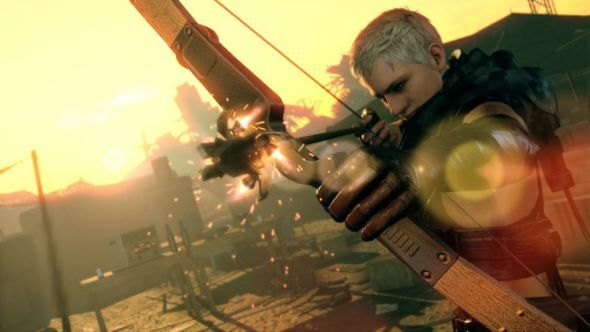 In an interview withGamespot, a Konami spokesperson revealed that the game will require a persistent internet connection, no matter what mode you’re playing. Metal Gear Survive will have a microtransaction store where players can purchase virtual currency, which can in turn be used to purchase XP boosts. Prices aren’t available yet, but you can either buy the currency with real money or earn it in-game. It’s not exactly a first for the series, as its previous release, Metal Gear Solid V: The Phantom Pain, also included microtransactions. The article lined above also reveals that the main campaign will take around 15-20 hours to complete. That’s significantly less time than The Phantom Pain, which How Long to Beat suggests took around 45 hours, but Survive does have a significantly broader multiplayer mode available, which should help pad the experience out. Metal Gear Survive will release on February 20 in North America, the following day in Japan, and on February 22 in Europe.